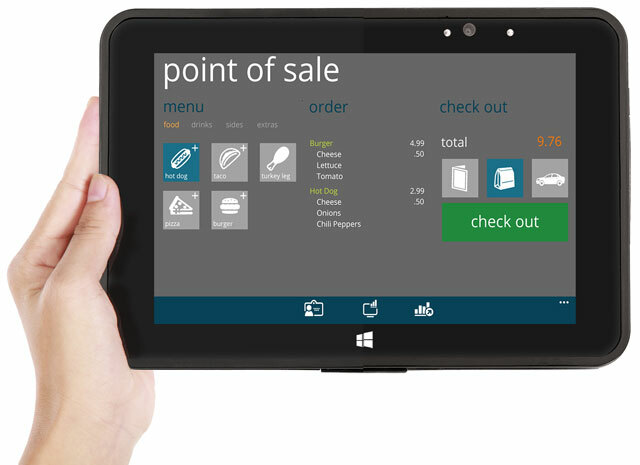 Using our 35 years of experience in the hospitality and retail industries, PAR is introducing a tablet that is specifically designed for your environment. 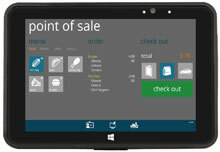 The PAR Tablet 8 is designed with the specifications and components that offer the optimal combination of features to meet the mobile needs of your hospitality or retail operation. Whether you are looking to extend your POS solution, enhance customer experience or improve the efficiency of your operations, the PAR Tablet 8 is the ideal fit. The tablet is the perfect balance of size and reliability, easily being held in one hand. 8.3-inch diagonal Multi-Touch display, Intel Atom Z3470 Quad-Core CPU, Windows Embedded 8.1 Industry Pro Retail Operating System, 2GB RAM, 64GB SSD, Wi-FI (802.11a/b/g/n), Bluetooth 4.0. Includes US charger.